Beacon Hill residents in the 37th Legislative District will have a chance to talk live with their state representative, Eric Pettigrew (D), in a telephone town hall this Wednesday, June 26, from 6 to 7 p.m.
Here’s how it works: On Wednesday evening just before 6, thousands of 37th District constituents will receive robo-calls to their homes. By pressing *3 on the phones, residents can ask questions for Representative Pettigrew to answer live, or if they prefer, they can simply listen to the conversation. If you do not receive a call, you can participate by dialing 877-229-8493 and entering the ID code 18646#. The Mayor’s Town Hall meeting previously scheduled for Wednesday, July 18 at Van Asselt Community Center has been rescheduled and moved. The meeting will now be at St. Mark’s Lutheran Church, 6020 Beacon Ave. S., on Tuesday, August 14 from 5:30-8 p.m. Neighbors in the 98108, 98118, and 98144 area codes are invited to attend. The event schedule has not changed; it starts with a community information fair from 5:30-6:30, followed by a youth performance from 6:30-6:40, then the open Q&A session with Mayor McGinn and City staff. The town hall is another in a series of town halls throughout Seattle, through the Engage Seattle initiative, designed to “to provide concrete ways for Seattleites to help make our city a better place.” Find out more at the website. U.S. Congressman Adam Smith, who represents the state’s 9th District, will host a town hall meeting on Sunday, March 4 from 2-4 p.m. at the Filipino Community Center, 5740 Martin Luther King Jr. Way S. in the Rainier Valley. 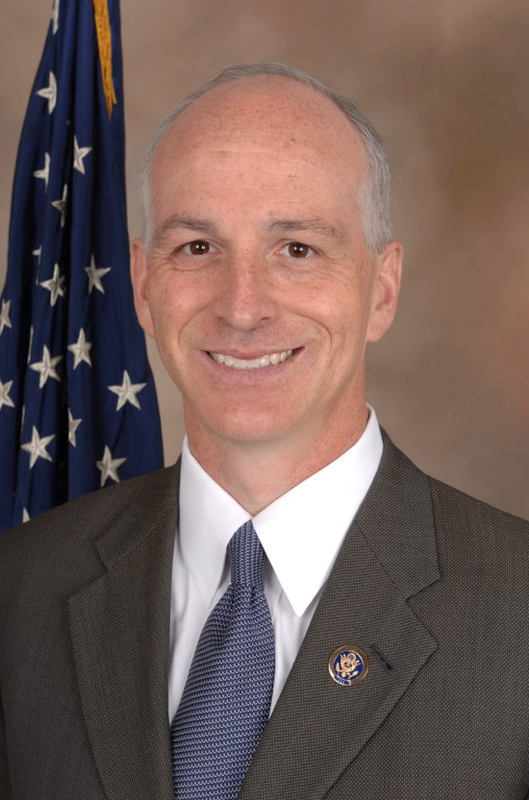 The meeting is open to the public and provides an excellent opportunity for Southeast Seattle voters to meet Smith, who will be representing us when the new redistricting plan takes effect, moving Southeast Seattle into the 9th District along with Mercer Island, Bellevue, Renton, Tukwila, Kent, and other areas stretching southward to Tacoma. Previously, our area was in the 7th Congressional District, represented by Jim McDermott. The new 9th District will be the first majority-minority district in Washington State. 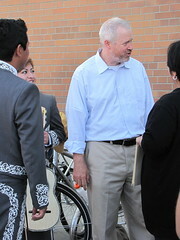 Mayor Mike McGinn at the recent dedication of Roberto Maestas Festival Street. Photo by Wendi. Mayor Mike McGinn is hosting a Greater Duwamish Town Hall meeting this coming Tuesday, September 27, from 5:30 to 8 p.m. at the Georgetown Campus of South Seattle Community College, 6737 Corson Ave. S.
Need further information? 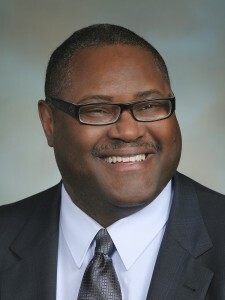 Contact James Bush at (206) 684-9288 or james.bush@seattle.gov. 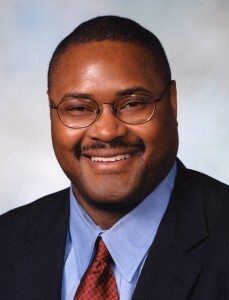 37th District Representative Eric Pettigrew is hosting a telephone town hall next Tuesday, July 26 from 6 to 7 p.m, and all 37th District neighbors are welcome to join in. A telephone town hall is an opportunity to bring up questions, comments, and concerns about the 37th District and the state Legislature. Many residents of the 37th District will receive a call that evening inviting them to stay on the line and join the conversation. If you do not receive the call directly by 6:10 p.m., you may also participate by dialing 877-229-8493, and using the PIN code 15226. 11th Legislative District Representative Bob Hasegawa is hosting another Telephone Town Hall event at 6:30 p.m. on Wednesday, March 2. Households across the district will receive phone calls that evening (land-lines only) and be invited to participate. If you know you’d like to participate, you may call 877-229-8493 toll-free and enter ID code 15515. The number will begin accepting calls ten minutes before the start of the event. During the call, participants will be able to learn about the current legislative session and ask questions and share thoughts with Representative Hasegawa. For additional information, contact the legislator at 360-786-7862. 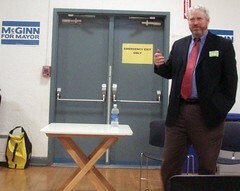 Mike McGinn at an earlier Town Hall meeting on Beacon Hill during his 2009 mayoral campaign. Photo by Melissa Jonas in the Beacon Hill Blog photo pool on Flickr. Mayor Mike McGinn will visit Beacon Hill for a Town Hall meeting next Tuesday, February 15, from 5:30 to 8 p.m. at Jefferson Community Center. The Mayor and City staff will host an open question and answer session, and representatives of City departments and local volunteer organizations will also be present to answer questions and discuss volunteer opportunities. Entertainment will be provided by the Jefferson Park Community Center Lion Dancers. For more information, please contact Becky Stanley, (206) 684-8106 or becky.stanley@seattle.gov. Jefferson Community Center is located at 3801 Beacon Avenue South. The Bartell Drug Store at Rainier Avenue South and South College Street has applied for a new “Grocery Store – Beer/Wine” liquor license. If you wish to comment on the application, you can email your comments about license number 406481 to customerservice@liq.wa.gov. The proposed Jefferson Park Food Forest has a new website with information about the Food Forest’s design and mission. Community tile creation and tile glazing sessions will be held on the following Mondays from 3:30 – 8:30 pm: May 3, 10, 17, 24; June 7, 14. There will also be sessions on the following Saturdays from 10:00 am – 2:00 pm: May 1, 22. RSVPs are requested. To find out more about the project and RSVP, contact Terry Virdell at 206-898-5679, or email terryvirdell@gmail.com. L to R: Representatives Bob Hasegawa and Zack Hudgins. 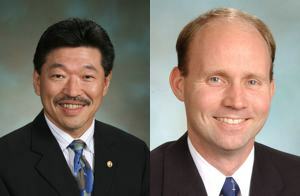 Local state Representatives Zack Hudgins and Bob Hasegawa invite residents of the 11th Legislative District to join them for a telephone town hall tonight, April 27, from 6:00 p.m. to 7:00 p.m.
Hudgins and Hasegawa will discuss the 2010 legislative session, creating jobs, their priorities for the 2010 state budget, and the budget’s impact on local communities. Residents will be invited to stay on the line and join in on the conversation. You can also phone in directly between 6:00 and 7:00 p.m. by dialing (toll-free) 877-229-8493, code 15512. Last week, Cienna Madrid at the Stranger wrote about the new Streets for All Seattle Coalition, a group fighting to fund projects for bicycle, transit, and pedestrian improvements. In the article, SASC spokesman David Hiller specifically discusses how a transportation crisis in South Seattle has drawn organizations such as El Centro de la Raza into the coalition. Please be careful with your pets. King County Animal Care and Control sent out a recent notice that there may be an outbreak of canine distemper in area raccoons. This disease is highly contagious among dogs, ferrets, and a variety of wild animals. Cats are not affected. Asian Express, Dim Sum House, and Jefferson Community Center all received recent inspection visits from the Health Department. (Click each establishment’s name to see the results.) Congratulations to Jefferson Community Center for a perfect score of zero! If you want in on the call but you don’t want to find out if you’re one of the randomly selected participants, you can also call in by dialing 877-229-8493 and entering PIN code 15515. Following the phone-hall, Rep. Hasegawa will also be hosting an in-person town hall meeting on Saturday the 20th at South Seattle Community College’s Georgetown Campus, Building C, Room 208 at 11am. Rep. Hasegawa is looking for suggestions on how to make the 11th district and the rest of the state a better place to work and raise a family and, in these last three weeks or so of the current legislative session, help in deciding how to tackle the state’s budget deficit. Thanks to Joel Lee and Heather Dwyer for sending this in. 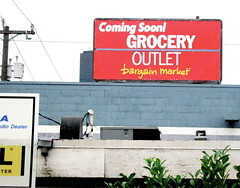 A new Grocery Outlet is coming to nearby SoDo. Photo by Jason. The Grocery Outlet just off Rainier Avenue, next to the Mount Baker train station, didn’t survive long enough to see the station open. It closed last year, its business hampered by ongoing station construction right in front of its parking lot. Fans of Grocery Outlet shopping will soon have another nearby option, however, with a new store opening in the former state liquor store site on Fourth Avenue South in SoDo. The new site is not as convenient to pedestrians as the old one, however; the nearest Link station, instead of being right next door, is about a half-mile walk around a huge block and part of the Metro bus base. Mayor-elect McGinn is hosting three town halls this week to hear your thoughts and ideas about the future of the city. Two of the town halls are reasonably close to us here on Beacon Hill. Did you deep-fry your Thanksgiving turkey? Still wondering what to do with all that excess cooking oil? Red Apple has joined with Standard Biodiesel to collect your used turkey fryer oil. Standard will donate money to Children’s Hospital for each gallon collected. Please contact the store before bringing in your oil; instructions are in the link above. Thanks to the P-I’s Big Blog!